Many online casinos are hosting special promotions in honor of the Chinese New Year. Each year is named after one of the animals from the Chinese zodiac, which is filled with luck and symbolism. The Chinese New Year begins on 5th February 2019. This Chinese New Year is the Year of the Pig. The Year of the Pig is associated with plenty of luck, and much wealth. 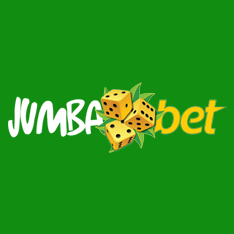 Jumba Bet Casino wants to give you a chance to share in the wealth. The casino suggests that you pig out on special rewards to see if riches await you. You may use this special bonus offer as many times as you wish, making it a win on its own. Start with a 99% match deposit bonus offer up to a huge $495. Redeem this special bonus offer with the coupon code HOG99 when you make your real money deposit. Add in 38 free spins to make this offer even better. Play your 38 free spins on the specially selected Zodiac slot game when you enter the ZODIAC38 code. When you have had enough of the special Year of the Pig bonuses, there are a number of Daily Match offers. Different days come with different offers, ensuring that you have bonuses available the entire week. Start with the weekend and move into the week with a special bonus available on Saturdays, Sundays, and Mondays. Get a 150% match bonus up to $400 on three different deposits. Redeem these bonus offers with the coupon code FF3X150. On Tuesdays or Wednesdays, you get to benefit from two midweek bonus offers. Enjoy a 75% match bonus up to a total of $150 on two deposits with the bonus code MID75. Next up is a 50% match deposit bonus up to a maximum amount of $200. Use this bonus offer on two deposits with the code MID50. Thursdays come with yet another two bonus offers. Claim a 100% match deposit bonus up to a total of $200. Redeem this bonus with the BON100 coupon code. After that you get to enjoy a 50% match deposit bonus offer up to a maximum of $200. Get this bonus with the BON50 code. Friday bonuses help you end off the week and get ready for the weekend. Enjoy a 125% match bonus up to $125 with the bonus code BON125. In addition to this, get a 75% match bonus up to $100 with the code BON75.